Wendell Ray Arnold was born on October 7, 1940, in Burkburnett, Texas, to Clyde and Alta Mae (Dillon) Arnold. He passed away on Tuesday, October 30, at the age of 78. A memorial service is scheduled for Saturday, November 10, at 11:00 A.M. at the Waurika First United Methodist Church with Adam Brinson officiating. Arrangements have been entrusted to Whitt Funeral Home. Wendell grew up on a farm between Waurika and Sugden. He was involved in FFA. 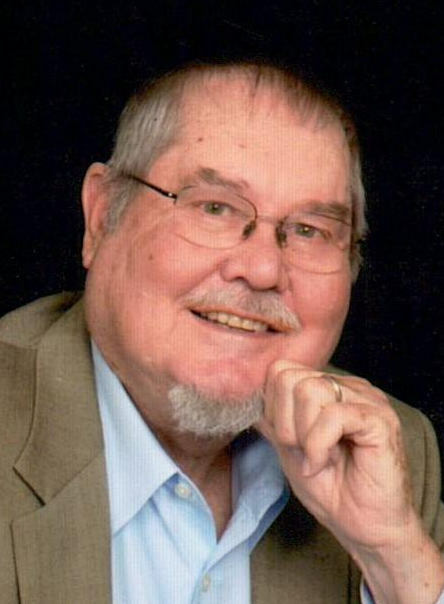 He played football and basketball while attending Waurika High School and was a member of the 1959 Waurika graduating class. While in high school, he met his future wife, Rexene Carolyn Freeman. He attended Cameron University for 1 year before marrying Carolyn. They then moved to Stillwater to attend Oklahoma State University where he received a Bachelor’s degree in Agronomy and a Master’s degree in Plant Physiology. After graduation from Oklahoma State, they moved to College Station, Texas where he planned to attend Texas A&M. He worked for Lilly Research Laboratory. He received the Ford Foundation Fellowship, which assisted in starting his PhD in Plant Pathology. After graduation and completing his PhD, he returned to Lilly Research Labs to work in Greenfield, Indiana, researching treatment of plant diseases. In 2000, he completed 33 years with Lilly, taking early retirement while living in Florida. They continued to live in both Florida and Oklahoma so that they could be close to Carolyn’s parents in Hastings. He enjoyed playing golf, tennis, and snow skiing in Colorado. During retirement, he loved to garden. He developed a drought-resistant variety of okra. Wendell wrote and published a book entitled From Cotton Patch to PhD and was currently writing a book on Jefferson County. He is survived by his wife of 58 years, Carolyn; children, Lyndon David and wife Patrice Arnold of Marietta, Georgia, Douglas Ray and wife Kendyl Arnold of Loxahatchee, Florida, and Susanna Lee and husband Dave Raffey of Loxahatchee, Florida; 9 grandchildren, Aaron David and wife Ellen Arnold, Alexander Pope Arnold, Robert Austin Arnold , Margaret Grace Arnold, Brittney Christine Arnold, Jackson Ray Arnold, Christopher Lee Arnold, Amanda Machelle Raffey, and David Michael Raffey; and 3 brothers, Doffel Delano and wife Cleo Arnold of Colorado; Raymond Clyde Arnold of Stillwater, and Eddie Glen and wife Janet Arnold of Virginia. Wendell was preceded in death by his parents, Clyde and Alta Arnold; brothers, Arthur Leon Arnold, Derral Wayne Arnold, Willie Eugene Arnold, and Jerry Arnold; and sister, Johnnie Lorene Richardson. Memorial contributions in Wendell’s name can be made to Waurika First United Methodist Church, 438 E D Avenue, Waurika, OK 73573. Online condolences can be made to the family at www.whittfh.com.